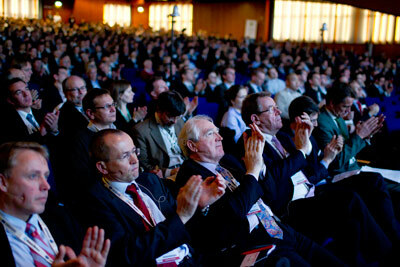 Focusing on innovation, EWEA 2012 will address future challenges and explore innovative solutions. Led by well-respected industry experts, the conference features over 40 sessions covering a broad range of hot topics, a high-level roundtable between policy-makers and key industry figures, panel debates and informative presentations. A full conference delegate can benefit from entrance to the exhibition as well as attending any of the sessions available in the 6 conference tracks covering a broad range of topics from policies and markets to financing, hardware technology, resource assessment, grids, and science & research. Dr Patrick Dixon, international conference keynote speaker, author of 15 books and Chairman of Global Change Ltd. will moderate the debate session on the first day of the event. Patrick Dixon is a management consultant, growth strategist and trends analyst, whose clients include many of the world’s largest multinationals. He has been ranked one of the 20 most influential business thinkers alive today (Thinkers 50 2005). “Global energy consumption is predicted to increase by a third in the next 25 years. At the same time it is increasingly difficult and expensive to extract oil and gas from known fields. To make ends meet we need to radically change our energy mix. The Danish government has set the course for full independence from fossil fuels for 2050. Wind will play a key role in the transmission. In the next ten years alone, Denmark aim to more than double the share of wind in the power system – up from 19 to 42 pct. – This is a clear World record.